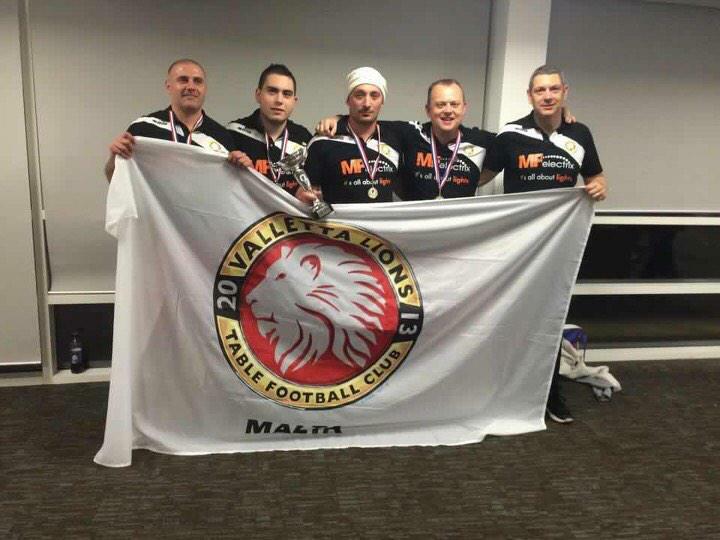 Valletta Lions TFC were victorious in the land of the Red Dragon winning the Cardiff Grand Prix team event. In a competitive field of 21 teams, the Semi-Finals saw last year’s winners, Brussels SC lose 1-2 to AS Hennuyer in an all Belgian affair. In the other Semi it was again an local match-up as Valletta Lions grabbed a 3-1 win over Valletta SC. The final saw the Valletta Lions take the win 2-0 over Hennuyer as Mark Gauci and Angelo Borg grabbed the all-important wins for the Lions. The Individual event had a great field of 116 players from all over Europe resulting in some great finals. The Open Final was won by the Austrian Wolfgang Haas with a close 2-1 victory over Malta’s Derek Conti and the Veteran’s event it was an all Austrian final as Robert Lenz edged Gunther Bamberzky 1-0. The youth categories also saw some great action with many players involved – The Under 19’s final was won by Spain’s David Gonzalez with a 3-2 victory over the Belgian, David Vantassel. In the Under 15’s final, Belgium’s Noe Scheen won 3-1 over England’s Kye Arnold whilst in the Under 12’s, Joshua Humphreys beat Joseph Kinrade 3-2 on shots in all England & Kent Final. This entry was posted in FISTF News and tagged Grand Prix, Results, Wales. Bookmark the permalink.